Highways routed through population centers in the 50s and 60s have scarred many communities around the country and left neighborhoods disconnected from opportunity. 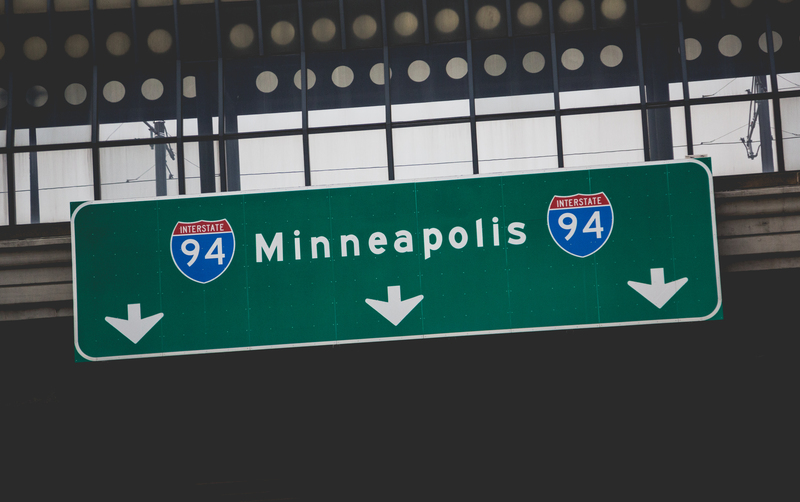 To help address this in the Twin Cities, Smart Growth America worked with the Minnesota Department of Transportation (MnDOT) on two intersections around I-94 to identify problems, improvements that can be made, and strategies for increasing community participation. These have been summarized in a new report: Reconnecting Neighborhoods. The construction of I-94 in the 1960s through the heart of St. Paul and Minneapolis had devastating impacts for communities in both cities. Like highways around the country, it created a physical barrier between neighborhoods, disconnected people from opportunities, and fractured the social fabric of the communities. The first step towards healing the wounds created by urban highways is acknowledging their impact. But to actually improve mobility and neighborhood connections around I-94 (short of removing the highway), Smart Growth America worked with MnDOT in two workshops last July, with support from the McKnight Foundation. Each workshop looked at a specific interchange, one in each of the Twin Cities. The first intersection chosen was Lexington Parkway and I-94 in St. Paul. Close to the Rondo neighborhood, which was devastated by the highway’s construction, the intersection has some serious safety issues particularly for people walking and with disabilities. The other workshop focused on the intersection at Dowling Avenue and I-94 in Minneapolis. This intersection serves north Minneapolis residents and will be an important multi-modal corridor with the redevelopment of the Upper Harbor Terminal: a publicly owned, 50-acre industrial riverfront site that will eventually include riverfront green space, mixed-use commercial development, and a large amphitheater for events. Each workshop began with “walk audits” where attendees walked around the intersections and surrounding areas. This helped identify many mobility issues that people face from transit stops that are difficult to access to a lack of safe spaces for people walking and biking. After walking through the study areas, the workshops focused on brainstorming near- and medium-term improvements that could be made to address the intersections’ shortcomings and improve accessibility. These included adjustments to signal timing, relocating transit stops, reallocating street space, and adding design features to make the intersection more pleasant, for example. Participants also brainstormed longer-term visions for the interchanges that included larger intersection redesigns or the construction of a walking, biking bridge. All of the findings are summarized in Reconnecting Neighborhoods. While the ideas coming out of the workshops are specific to the two interchanges studied, the process (and many of the ideas) can be valuable to other intersections in the Twin Cities and even other communities around the country struggling to reconnect neighborhoods around interstates or major thoroughfares. The report also addresses ways that MnDOT and its partners can improve community participation in future workshops; most participants in this pair of workshops worked for a city or other government agency and thus lacked valuable, robust community input. Finally, the report offers strategies for addressing other, related issues like maintaining housing affordability and reducing the impact of future transportation construction on area businesses.